It can't be all to easy taking an ostensibly humdrum yet potentially intimidating theme - say, the Periodic Table of the Elements - and turning it into an unexpectedly good read. But the young Sam Kean pulls it off beautifully. 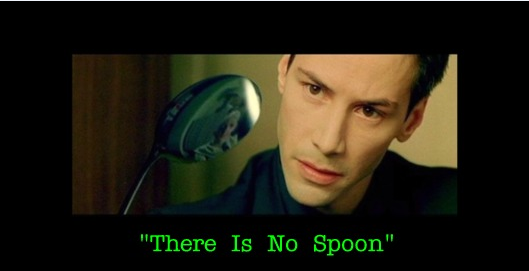 The Disappearing Spoon tells the story behind virtually every element, and the quirky scientists behind it. It colours in the gaps between the somewhat desiccated facts we learned at school with very bright crayons. It has a bit of everything: humour, suspense, envy, scandal and isotopes. If you enjoy chemistry - or the world around you in general - this book is sure to have a special place on your shelf. I rate it fluorine out of neon. There's a pretty cool youtube channel called "Periodic Table of Videos" that explores the elements in turn. For instance: In an episode on Gold they managed to get into a London bank vault containing bullion. Aluminium foil also works — perhaps better because aluminium is more reactive with hydrochloric than iron. Will pool acid be concentrated enough though? How about sulphuric acid, if you use battery acid that can be bought at a hardware store? I have been thinking of showing the kids at the school where I work this, but I don't want to buy expensive chemicals unnecessarily. "It's perfectly safe, kids. Watch, I'm leaning right in and nothi..."
"What? Men dodging this way for single bullets? What will you do when they open fire along the whole line? I am ashamed of you. They couldn't hit an elephant at this distance." Allegedly these were among General John Sedgwick's final words. He was serving as a Union commander in the American Civil War, and was hit by sniper fire a few minutes after saying them, at the battle of Spotsylvania to his men who were ducking for cover, on May 9, 1864. Quote from: Voltaire, when asked by a priest to renounce Satan. One sometimes hears, inaccurately but far more entertainingly, that his last words were actually "They couldn't hit an elephant at this dist..."
The title of the book refers to a geeky chemical party trick whereby a teaspoon is fashioned from metallic element 31, gallium. Gallium has a melting point of just below 30 deg C, and the humour ostensibly derives from the surprised look on the tea drinker's face when he tries to stir in his sugar. Oh well. That's actually a pretty cool trick. Where can I get hold of some gallium? France, presumably? Page created in 0.62 seconds with 24 sceptic queries.